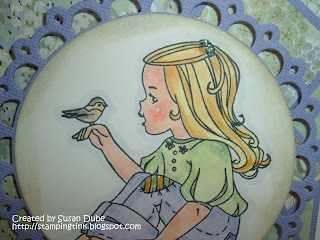 Stamping Tink: Big Announcement and a New Card to Share! First off, Happy Halloween to everyone! I know I should have a witch or haunted house or something up, but I've got a little cutie pie and some great news to share if that helps. 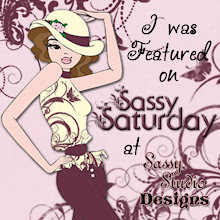 Everyone who knows me or knows my stamping knows that there's two genres I totally love - the sass and the sweet. I'm so excited to now be able to share that I have been blessed to be asked to join the design team family of Elphine House and am so excited to be designing with Miss Elisabeth Bell's gorgeous, stunning images again! As if that's not sweet enough, I get to design with two of my favorite past designing sisters again! Lynda and Vicki, just can't wait to see where this journey takes us. I am so excited to work with the other outstandingly talented artists on the design team and can't wait to begin presenting with them for all of you. And to Helen and Lew, thanks so much for having faith in me and my crafting ability. It means the world to me. 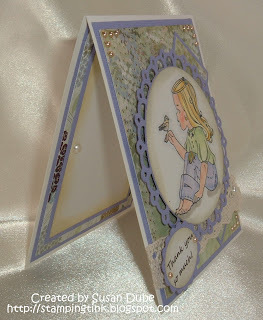 Stamping is just so sweet, fun, and exciting for me right now because I get to work with sweetness at Elphine House and with the sass over at Sassy Studio Designs! Two great teams and two fabulous, exciting, fun stamping families! It just doesn't get any better! This is one dream I don't want to ever wake up from! My mother asked me to do a card for the office at the hearing center where she got her hearing aids. Mom has a huge picture window in the living room with bird feeders outside that attracts every bird that is around. She loves to sit and watch them come, eat, and then fly off. After getting her aids, she now can hear them chirp with happiness as they fill up on her premium bird feed! When I saw this cutie pie New Friends from Elisabeth Bell for Susana's Custom Art and Card Design, I knew she's be perfect for this card! 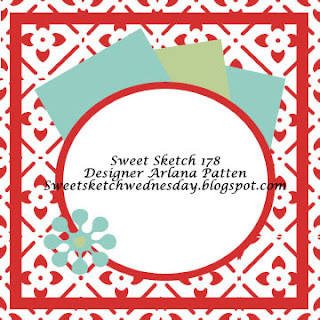 This sketch is from Sweet Sketch Wednesday and I just love it! 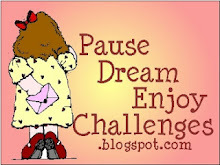 I'm entering her in their challenge and I think I may have to use it again! Judy, here's the inside just for you! Mom wrote a sweet personal note on the inside and it was very heartfelt and gracious. I hope everyone has a safe time out tonight if they get to go trick or treating. My sweet Lainie Loo is going as a Lady bug, Allie is a bunny rabbit, and Emma, she's the Princess Ariel! I miss seeing them on Halloween and hope they get lots and lots of candy! Stay safe and beware of the witches and ghouls! She is just too sweet!!!! The pearls are the perfect embellishment to use with her! Congrats! Great work on the card Elizabeth Bell is one our FAB sponsors and I can see why you are so excited to work with her images. Great coloring on this card. Thanks for joining us at SSW. congrats on the postion with Elizabeth Bell. I love her images. What an honor. 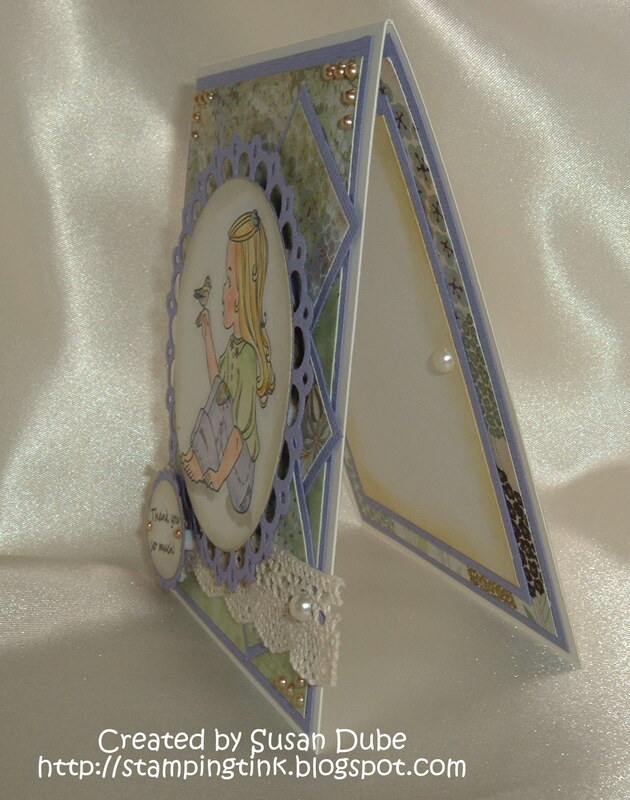 I love your gorgeous card this week. your soft color scheme really makes this card. And, your image is precious. Thanks for joining us. 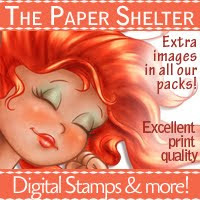 Hi Susan, Congratulations on your new DT position with Elisabeth Bell, I do love her images. I do hope you'll carry on visiting us at SSW? I love your card and I bet your mum loved it too. 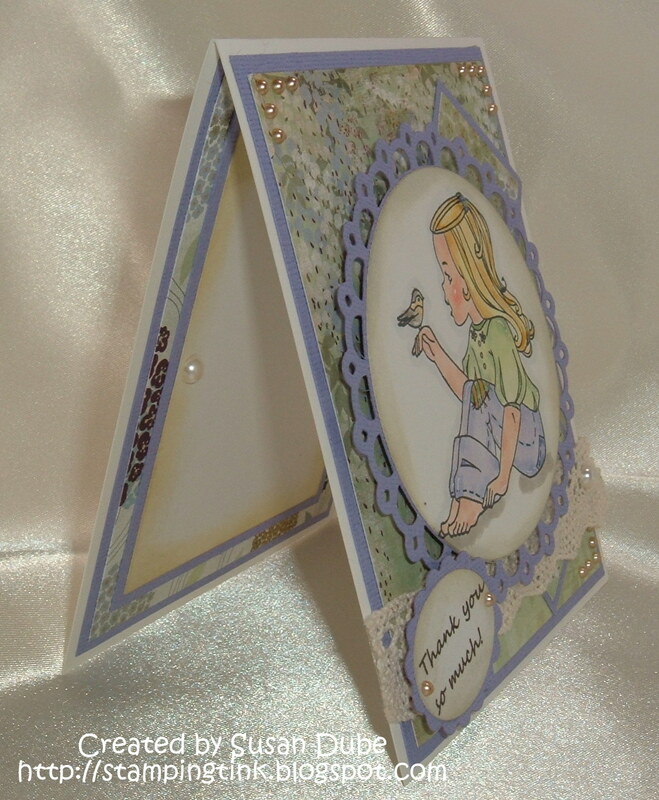 This is such a sweet image and your pastel colours are just so pretty and so are your added embellishments. Thanks so much for joining us this week at Sweet Sketch Wednesday and good luck. Congrats on your new DT position!! What a gorgeous card you've created too. Your image is darling and the papers are beautiful. Thanks for joining us this week at Sweet Sketch Wednesday. What a cutie patootie!!! I love some Elisabeth Bell too, so a huge congratulations to you on this DT spot! How fabulous to make the DT over at Elphine House! Congratulations! Thanks so much for sharing your art with us this week. 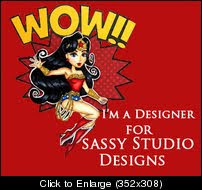 Congrats on your design team position at Elphine House! 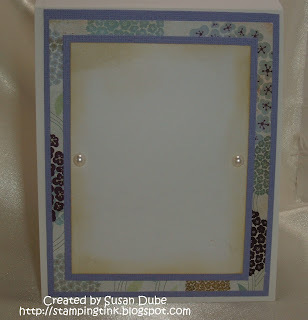 Your card is a beautiful showcase for the EB image and your coloring is gorgeous. Thanks for playing along at Sweet Sketch Wednesday!